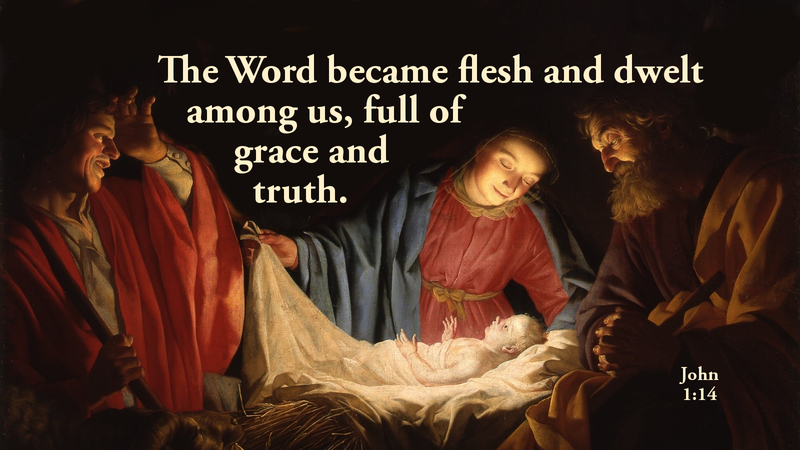 “And the Word became flesh and dwelt among us, full of grace and truth; we have beheld His glory, glory as of the only Son from the Father” (John 1:14). Christ is risen! He is risen, indeed! Alleluia, Alleluia! How wonderful that the daily lectionary connects Christmas with Easter! The Incarnation of our Lord is intimately related to His death and resurrection, and our Redemption. Today we behold the glory of the Word become flesh—the Word who was born at Bethlehem, nailed to a cross outside Jerusalem, buried in a borrowed tomb, raised to new life on the third day! And this Word was resurrected to continue to dwell among us. Had the Word remained dead and buried, God would be as distant from us as He once was. But now, the cold, lifeless Word that had been silenced on Good Friday is alive again—speaking hope and grace and newness of life! May the Lord look upon you with favor, and give you peace.